So what’s so inspiring about him? He took advantage of every opportunity – Matt’s a 24-year-old second year guard from country Victoria who was never drafted and wasn’t expected to play much this season. But every time he’s been called upon by his coach, he’s been ready. And then in game two of the finals, superstar Kyrie Irving went down with injury, meaning that Matt has had to be called upon to start and try to guard this season’s MVP Steph Curry. He hasn’t just played, he’s starred, hitting clutch free throws, hustling for loose balls and playing stellar defense on Curry. You too may be waiting for your chance to shine. Will you grab it with both hands? He doesn’t care about reputations – Steph Curry is a genuine star and one of my favourite players. He’s a class act and one of the greatest shooters of all time. I’m old enough to remember his dad, Dell who was a beautiful shooter as well and it seems that Steph was destined for greatness from a very young age. He’s had to work hard to get where he is, squeezing every ounce of ability from himself. Whilst pundits may write him off and suggest that he is hopelessly outclassed, Mat just puts his head down and gets the job done. He’s not intimidated by his opponent and he’s not overawed by the occasion, enabling him to play a key role in this series. Are you intimidated by the challenges in front of you? Are there key decision makers who can help you reach your goals, but you are too afraid to ask? He leaves it all out on the court – One thing you can be sure of with Matt, he will hustle and scrap and dive on loose balls, with little care for his own welfare or the welfare of others. Whilst many are critical of his approach as he can injure others, I would say to them, work just as hard and get your knees as dirty and you won’t get hurt! After game three, Matt went to hospital to recover from severe cramping such was his effort on court. At the end of this series, win or lose, Matt Dellavedova won’t be wondering if he could have done more to help his team win, he will know that he did everything that he could. At the end of the day, can you honestly say that you gave it everything? Will you look back on your life and wish that you had done more? At the time of writing, Matt’s Cleveland Cavaliers are leading 2-1 and the best of seven series is still up for grabs, but whatever happens, Matt Dellavedova has been an inspiration to his team and many others. 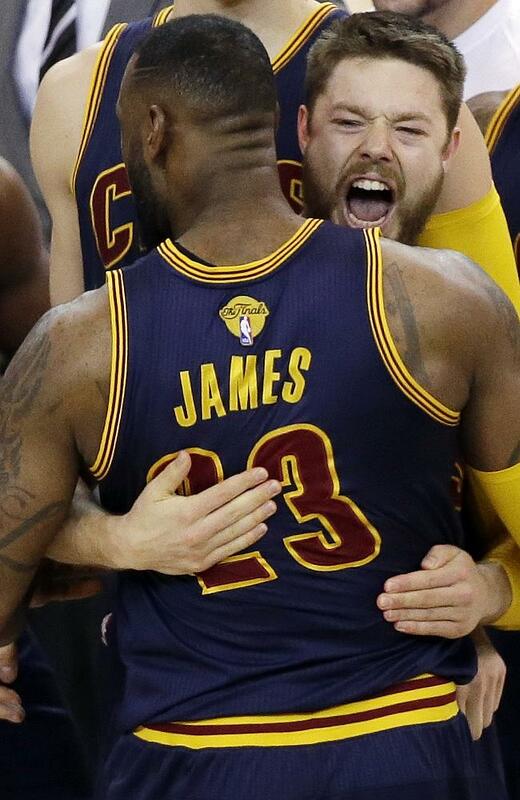 What inspires you the most about Matt Dellavedova? Previous post – It’s Time To Free Your Dreams? Wonderful post! I think it is amazing how hard Matt Dellavedova has worked to get where he is today. I admire his effort and happy to see that he has achieved his goals. Thanks for sharing!